Availability: Click Here to see Jen's available times. Jennifer Leahy has been coloring men and women’s hair for over eight years. By attending continued education classes, she is able to keep up on the newest, freshest techniques and trends. 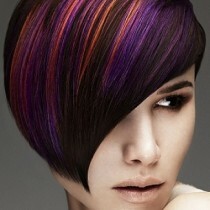 By doing so this gives Jennifer the ability to provide the best possible hair color for her clients. Jennifer offers the best possible hair color experience for her clients whether you’re coloring for the very first time or you have been coloring for years. Whether it be an all over single hair color, or highlights and lowlights with multiple colors, Jennifer will spend the necessary time on finding the perfect color for each client. Jennifer values the importance of helping to choose a hair color that her clients are comfortable and happy with so that they may feel their absolute best at all times. There are many specifics to take into consideration when deciding on a color, from picking the right shade, to the best tones, and everything in between. Jennifer simply doesn’t make decisions by picking from random swatches in her book, she helps to guide each client towards their perfect color based on several factors such as: skin tone, the client’s individual and personal style, and even eye color. With her keen eye and artistic creativity, Jennifer provides lasting hair color that will hold each bright, shining shade in between visits. Whether you want your color to be bold, subtle, or somewhere in the middle, Jennifer will provide you with the best color of your life. If you’re looking for a summer glow or a fall smolder, schedule your appointment with Jennifer today, you may just discover something perfect. As always, Jennifer guarantees all of her work. 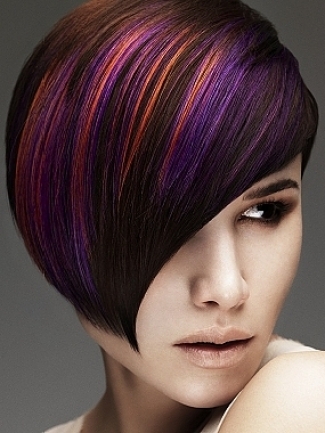 If it is not absolutely perfect within the first week, she will provide all hair color corrections free of charge. Jennifer Leahy Hair Salon is located in Centennial, Colorado which is in close proximity to Denver, Aurora, Greenwood Village, DTC (Denver Tech Center), Littleton, Englewood, and Highlands Ranch. Contact Jen to book an appointment. Please call for other available times.